Adductor strength is important for speed skaters. The speed skater sprints around an oval track at 30 miles per hour. As she jockeys for prime position, she must remain upright and avoid colliding with the other skaters. Her skill is the result of her natural athletic talent, along with a rigorous, sport-specific resistance training program. A targeted workout for her adductor or inner thigh muscles is part of the secret of her success. 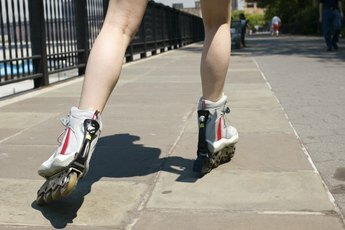 Like running and cycling, speed skating uses the muscles that flex and extend your hips, knees and joints. The sport also engages the abductors and adductors of the hip. These muscles move the skater's legs away from and toward the midline of her body. 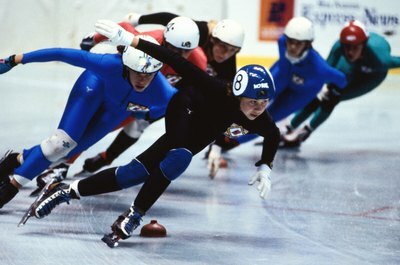 The results of a 2009 study indicate that as skating speed increases, the adductors exhibit what the researchers referred to as "disproportionately larger increases in peak muscle activation." A speed skater therefore needs adductor strength for maintaining top speeds while stabilizing her knees as she glides from side to side. Speed skating coaches often choose adductor exercises that simulate the sport, but certain situations necessitate isolation exercises. Possible examples include a speed skater recovering from a medial knee injury, or a skater whose knee alignment indicates a muscle imbalance between her inner and outer thighs. The iconic seated adductor/abductor machine is an example. To target your adductors, begin with your legs in the open position. Contract your inner thighs to draw your legs together. The classic side-lying adductor raise gets a new spin when performed while wearing your skates. Lean on one hip and prop yourself up on your supporting elbow. Straighten your bottom leg and bend your top knee so that the foot touches the floor in front or behind the bottom leg. 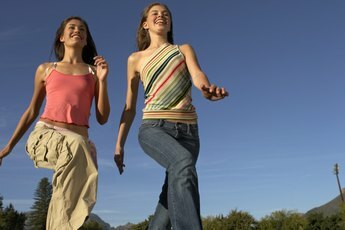 Keep your bottom knee facing straight ahead, and lift your leg a few inches from the floor. Return with control. The one-legged squat makes your adductor muscles work overtime to stabilize your knee. Balance on one leg, and keep your weight on the heel of your supporting foot. Initiate the squat by bending your knees and sitting back. Squat until your thighs are parallel to the floor, then return to the starting position. Some coaches have their athletes do this exercise with their skates on, but unless you have advanced balance skills, don't try this at home. 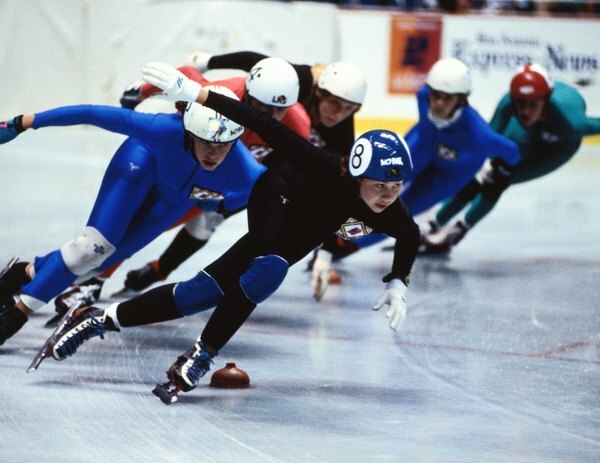 Olympic speed skater Eric Heiden attributes his five gold medals to slide board training. The slick-surfaced board usually measures 8 feet long and 2 feet wide. A 2-inch-tall ramp on each side facilitates the push-off movement, and a pair of booties, worn over your shoes, provides the necessary friction. The slide board offers one of the most sport specific forms of adductor training. 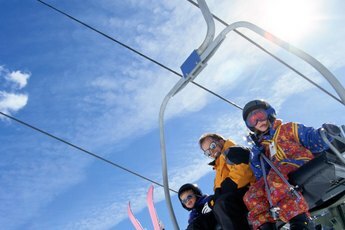 Stand on the board with your right foot against the end ramp. Push off the ramp with your right foot, and slide your left foot to the other end of the board. Repeat in the opposite direction. The “Slide Jack,” another adductor exercise, involves standing at the center of the board and gliding your legs apart and together. It's a jumping jack without the jump.